Epitomizes Automation in Manufacturing. Period. Roy Steen, founder and past owner of Steen & Sons Machine Shop, was a long term Smith Machinery customer. Clark Smith, owner of Smith Machinery says, “Roy would call almost every week just to check in. He loved talking to our office staff; Dorothy, Sue and Mindy. He always opened the conversation with “What are you doing?” About 10 years ago, he called to talk to me. Instead of his standard greeting Roy asked, “Clark, how many hours are there in a week?” Before I could answer Roy replied that there were 168 hours in every week. Then quickly followed with; “How many hours do you think our Mazak Multiplex was cutting parts in auto operation?” Again before I could answer, he said “164! Roy must have been clairvoyant. After many years of training to be an expert machinist, many under the tutelage of his uncles in Southern California, Roy, who had moved his family to Idaho Falls, opened his own shop in 1975. 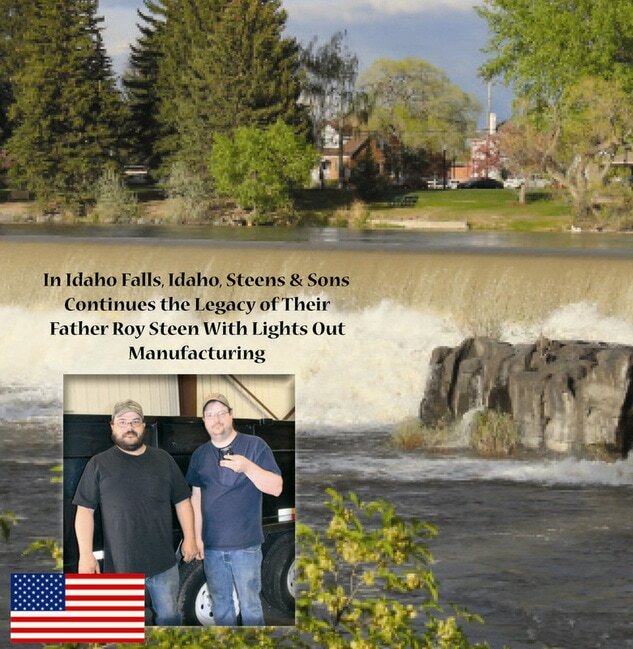 He called it “Steen & Sons”, even though his first son Clayton was only a young baby and Josh wasn’t yet born. Clayton says, “He named the business for the sons he knew he would have.” Roy and his wife had 2 sons and 2 daughters. ​Josh says, “I wanted to be an accountant, and started college to pursue this career, but I found that I valued working full time and earning an income more.” Today, Clayton follows in the footsteps of their father, as a master machinist (many say the father and son are gifted machinists), and Josh is able to capitalize on his skills with managing the financials of the business. Both Clayton and Josh team up to quote any new work. The company has been manufacturing production parts for a number of years. Clayton says, “We make complete roller lifters for aftermarket high performance automobiles. There are less than a handful of shops located throughout the United States who manufacture this product.” Josh says that Roy secured this business years ago through his connections in the drag racing world. Roy was a chassis builder in the early 1960’s at Frank Huzsar’s Race Car Specialties and a partner in the exotic Herbert, Hampshire & Steen dual-F85-powered fuel dragster - the first in a long series of projects for the Herbert family, which further included Chet’s four engine, 6,000HP streamliner (nicknamed the “Herbertliner”). Roy and Clayton were drag racers, and Clayton’s two sons, Alex (16 years old) and Chandler, at 12 years of age, are now 3rd generation racers. Clayton says that so far, the 3rd generation is the most successful in terms of race wins. Josh’s daughters, one who is 5 and the second who is 8 years old, are still too young yet to become racecar drivers. The company really values Mazak machine tools, and this is evident from the number of machines they own today. Their turning machines include a Mazak QT-8N, QT-15N, QT-6G and QT-30 plus two multi-tasking, twin spindle, turn/mill centers a QTN-100II-MSY and the Multiplex-6200Y. They also have several Mazak machining centers, a VTC-16C and two Nexus Vertical Machining centers, a VCN-410A and the popular VCN-510CII.